Interesting to visit historical and cultural sites that have been standing since thousands of years ago. We like being thrown into the past. The atmosphere is like that is what we will find when it comes to the Temple of the Six Banyan Trees located on Liurong road, Yuexiu district, Guangzhou. Buddhist temple complex has been established since 1,500 years ago. While the tall in the pagoda was built in 1097. 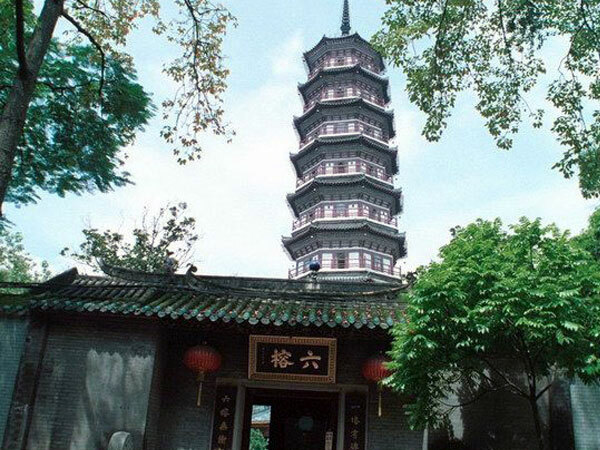 Had suffered great fires, and the pagoda was rebuilt in 1373. In the year 1800-an pagoda was damaged until when compared to his now seem all the difference. Because of this damage so in 1900 the pagoda repaired. In this temple there is a main room that is often used for Buddhist worship and burn incense. After going through the main gate the first time we see the Tianwang Hall is. The pagoda is the angle that the main attraction of this area. There are nine floors with colors red and white. The roof is painted red. The main room of the pagoda was called the Hall of Daxiong Baodian memilihi the three statues of the Buddha Amitabha Buddha i.e. copper, Sakyamuni Buddha and other Buddhist sculpture 1. 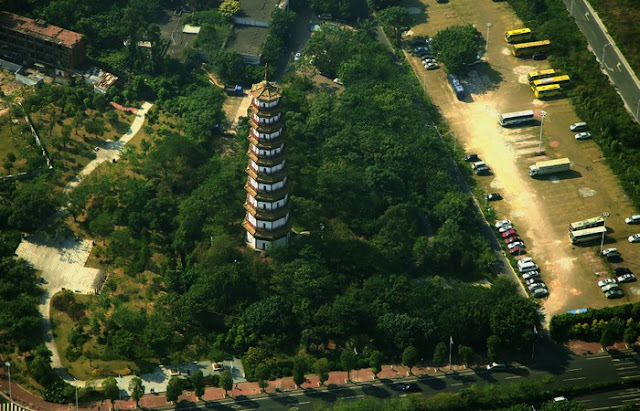 The pagoda is not only interesting but also provides a spot for visitors to see the charming landscape around. Temple of the Six Banyan trees (Six Banyan Trees) is an ancient temple that was built around the year 537 during the Liang dynasty. 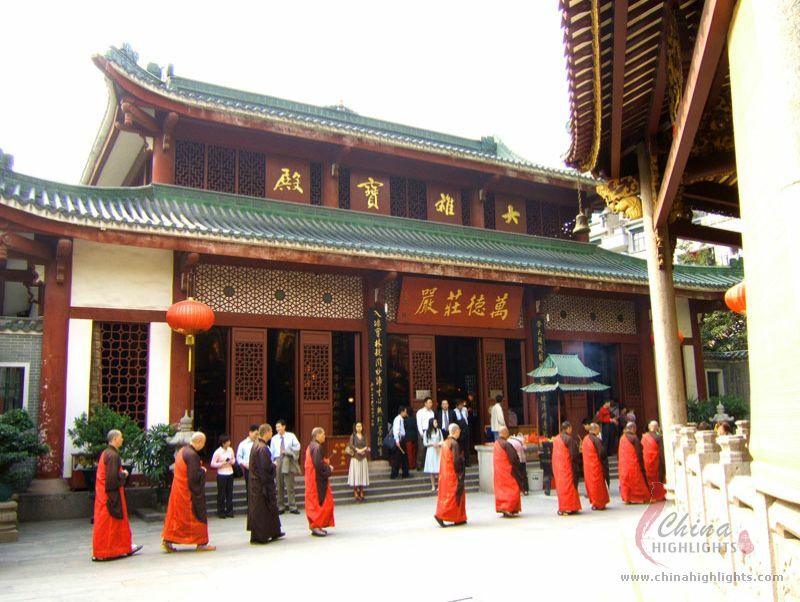 The temple was originally called the Baozhuangyan Temple, but a famous historical novelist named Shi Su mentions this temple with the name "Liu Rong" (Six Banyan Trees). Poet of the Song dynasty it was not without reason call Liu Rong. He earned the name because it saw the 6 Banyan trees around the shrine. According to him, the presence of the Banyan tree provides a peaceful mood and happy. Temple of the Six Banyan Trees not only promising charm places of worship for which already stood for thousands of years. By the time spring arrives around April, namely that the temple was deploying Chinese Spring Festival and the Lantern Festival. On each occurrence of many tourists and Buddhists flocked to visit the Temple of the Six Banyan Trees. Well, to reach this location is not difficult, you just need to take a bus No. 12 or 215 towards Liurong Road Station. 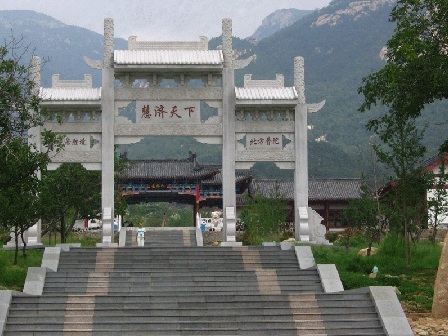 Temple of the Six Banyan trees can also be reached by bus number 74, 85, 88, 102 or 104 towards Zhongshan Liulu Station. you can get started on a trip to the shrine from 8 am till 5.20 pm with tickets 10 CNY. In addition to the Temple of the Six Banyan trees, we can visit some other destinations in Guangzhou as Yuexiu Park, White Cloud Mountain and Lotus Hill. Some hotels you can frequent is the Baiyun Hotel, She & He Apartment – Central International and Private Apartments – Central International. Temple of Six Banyan Trees - Historic Sites Become Tourist attractions in Guangzhou China - Our commitment to providing information, tips, and guides for you all. However, the maintenance of this website is not cheap. When you book your hotel, please click the links that are on this page to help us continue to be able to provide information as well as the more interesting tour guide again.